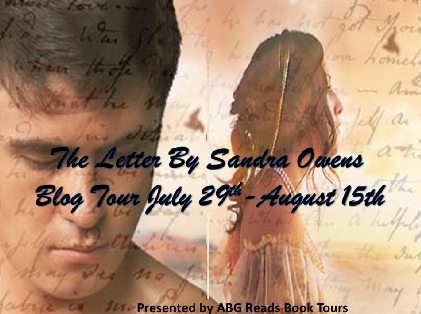 Please help me welcome author Sandra Owens to A Buckeye Girl Reads as apart of the blog tour for her newest release, The Letter, published by Wild Rose Press!!! What was your inspiration for The Letter? Michael, the Earl of Daventry, popped up in a cameo role in The Training of a Marquess. Although he made a very brief appearance, I knew he would be the hero of my next book. I just didn’t know what it would be. Some weeks later, I woke up one morning with the letter that begins the book in my head. 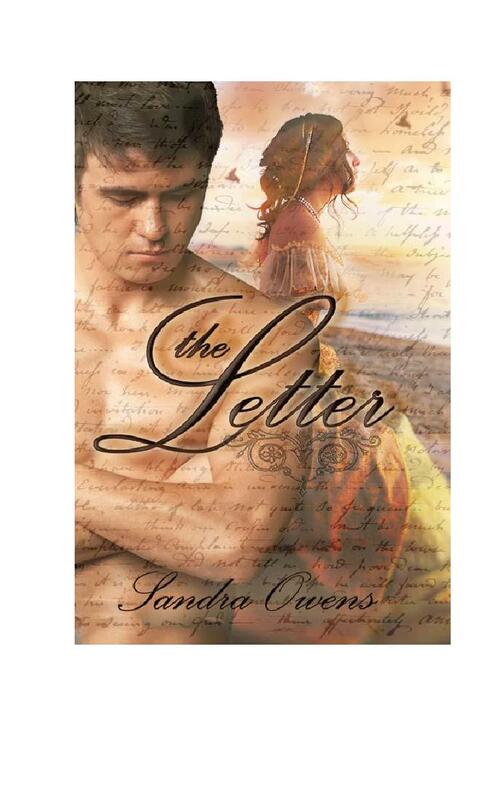 It isn’t a love letter, but a vile one that turns Michael’s world upside down. What is the process to publication like? The best description I can give you is that it is like riding a rollercoaster. A thrilling one, to be sure. The ride begins with that first manuscript, the one you just know is awesome and everyone is going to want it (because your family and best friends loved it). When the form rejections start rolling in, you read it again and realize it’s awful and you had no clue what you were doing. How was I supposed to know head-hopping was a big no no. So, you join Romance Writers of America, start taking on-line classes, find critique partners and start that second manuscript. And you don’t give up. You keep writing and you keep submitting, but now you’re submitting better manuscripts and getting personal rejection letters, ones that say “I didn’t quite love it like I’d hoped, but I love your voice and my door is open to future submissions.” I never got depressed over those. They were like cookie crumbs leading me forward to that ultimate goal of being published. Which was the easiest character to write and why? Michael. He had a story to tell and I just kind of got out of his way and let him go to it. The biggest surprise was his humor. The little stories he created to amuse Diana and Jamie, the way he goes about winning Diana back…none of that was planned. It was just Michael being Michael. I’m a panster, meaning I don’t plot, so I’m frequently surprised by the twists and turns my characters insist on taking. Diana, without doubt. I didn’t intend for her to be as damaged—both physically and mentally—as she turned out to be. As I indicated earlier, my characters often have other ideas from mine of the direction their story should take and I’ve learned to listen to them. Diana kept quiet for a long time and I began to worry that she was too damaged to ever come to life, and that perhaps I should create a different woman for Michael to love. Michael refused to give up on her, however, and she slowly began to emerge from the protective shell she’d wrapped around herself. The day stood up to Michael, poking him in his chest, both Michael and I wanted to stand up and cheer her on. Did you do a lot of research for the book? What was the most interesting thing you found? There is always more research involved in a historical than a contemporary. Did I get the clothing right? What is the setting and what was the area like back then? The words are sometimes the hardest. If a certain word didn’t exist during that time period, what word can I substitute? There are many interesting things from the Regency era I’ve learned, but one that fascinates me is the gaming hells. In The Letter, Diana’s husband wagered her in a game of cards and lost. In researching gaming hells, I discovered that gambling was a major preoccupation at that time with both men and women, and when the money was gone, other things came into play…unentailed estates, horses, the family jewels and silver, whatever wasn’t entailed or nailed down, apparently. Entire fortunes often changed hands in a single game of cards. The really desperate turned to the money lenders, the “cents per cents” (called that because of their high interest rates) to pay their vowels (I.O.U.). Ethan by Grace Burrowes. Loved it!